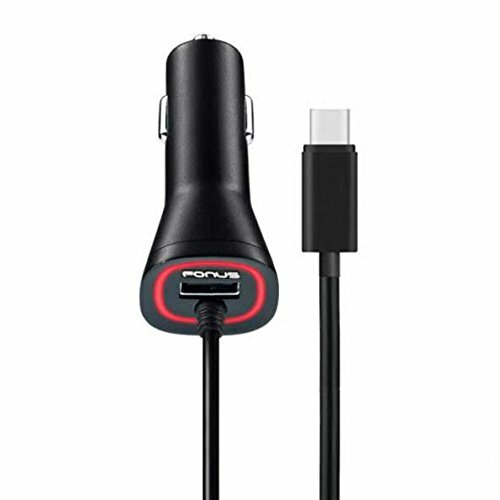 Fonus 3.4Amp Type-C (USB-C) Car Charger with Coiled Cable and Extra USB Port. EXtra USB Port: Charge other devices that come with their own cable. 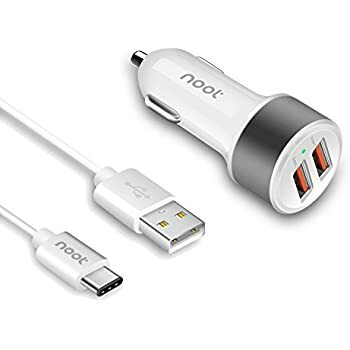 Extra usb cable is not included. 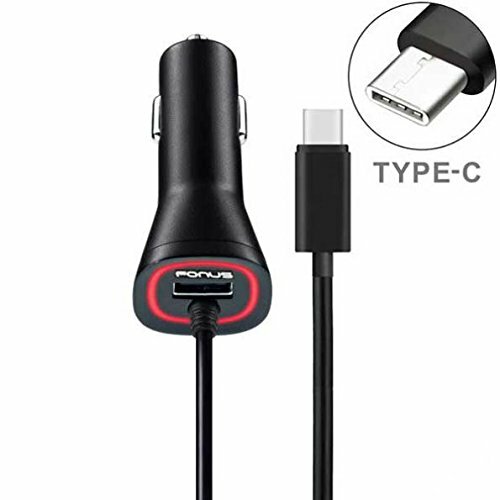 You need to use your own cable for the extra port. 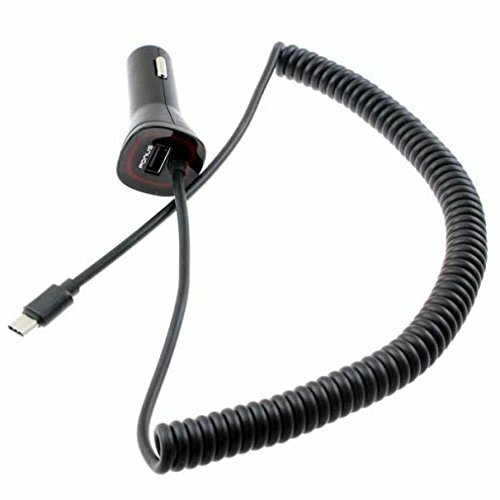 Powerful & Efficient: Delivers 5v/3.4A output from outlet to charge most devices, smartphones and tablets. 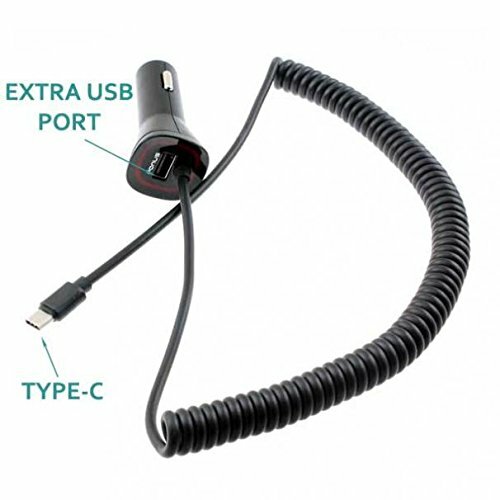 Auto Detect IC Technology automatically detects the device type and its specific charging needs for improved compatibility. Energy Conserving: Micro Draw technology automatically reduces power consumption when not actively charging a device. Indicative Light: Red ring illuminates when charging. Comes in Bulk Packaging (Non-Retail Package).